ADD/ADHD can wreak havoc in relationships. Issues include disorganization, memory lapses, arguments around planning and lack of focus or attention in conversations. Many people have ADD and don’t know it. 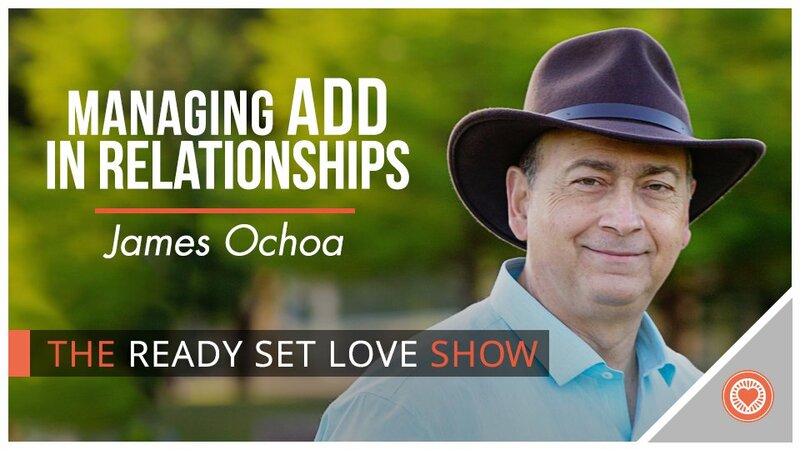 In this episode, John and ADHD expert James Ochoa discuss how to better manage ADD in relationships and minimize the conflict it can cause. Partners with ADHD often have difficulty with follow-through, organization, motivation, and emotional regulation, causing them to seem unreliable and uncaring. Tune in to learn how to manage a partner (or yourself!) with ADD and still have a fully supportive and loving relationship. James Ochoa, MA, LPC is the author of Focus Forward, a Licensed Professional Counselor, and founder of The Life Empowerment Center in Austin, Texas. He offers action-focused counseling and executive coaching to help his clients discover ways to empower themselves in all areas of their lives. His passion is treating the emotional distress of ADHD so clients can better manage themselves and their relationships and lead vibrant lives.